Millennials, Gen Y, professionals born after 1981, how do we attract thee? According to the US Census Bureau, 56 Million Millennials were in the workforce either currently employed or seeking employment, surpassing the 41 Million Baby Boomers. According to Forbes, by the year 2025, Millennials will comprise 75% of the workforce. That being said, do you think it is time to take action on your Millennial sourcing strategy? The first that you need to do is understand the millennial mind. Millennials are far from traditional. Where do Millennials hangout? Social Sites of course. I will go through a few places that we can find these Millennial talents. Angelist a website that is a designed for startups but it does have candidates. You can browse candidates free of charge. Millennials have a different mindset, more fearless that is. They look at startups because of innovation and creativity. How about that for an unconventional way to source? Take a look at a topic of relevance to your search and see who has commented on that book. Maybe this person will be the perfect SME for the role you are sourcing. Let us say we are looking for Mechanical Engineer; we would type Mechanical Engineer in the Amazon search box and search books. After we get to the search results for the book, as seen below, we can see the reviews and the name of the person that wrote the review. We can click on that person’s name to see if they have any profile details, if not, pop their name into Google and see what you find. The gentleman that posted the review below comes up as being a professor at Michigan State. Maybe just maybe, networking with him will lead to the mechanical engineer we are seeking. Yep, that’s right, get to snapping. If you don’t use Snapchat, now would be the time to start. Create a profile, make it public and start snapping about things most relevant to your target audience. I myself get on Snapchat several times a day to see what the latest and greatest is. 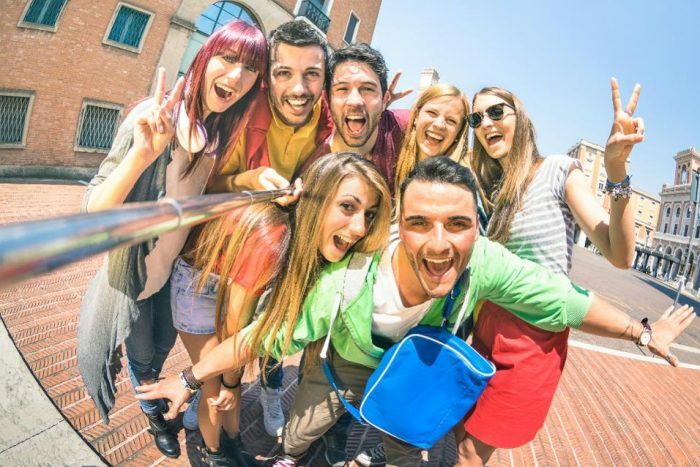 Facebook groups have become a popular destination for millennials to “hang out” and connect with like-minded individuals. You can see there are three communities above that come up that you can subscribe to with relevancy. Above you can see the first topic that comes up for the search, and it talks about majors in materials engineering. With 70 comments, I think there may be a few people for me to speak to here. You need to be active on Instagram, but you have to maintain that activity to grow your following. If you can keep your posts updated, as millennials do, you will gain a following, and hopefully, they will retweet your posts. In this case, you have reached a new audience. We can do several things as sourcers on Glassdoor. Get your company to get on “best places to work list.” A study was conducted by Glassdoor that shows that 65 percent of Glassdoor users agree their perception of a company improves after seeing companies on best places to work list with employee reviews. See if you can get approval to start a campaign to encourage employee reviews of the company, benefits, and management. Below is an example of SAP’s Glassdoor information, as Glassdoor as a company that heavily utilizes it to boost company profile and acknowledge employees reviewed it. There are 8,300 reviews, and overall the company is rated 4.4. I would say that Millennials would be very interested in entertaining this company. Overall, Millennials live in a technological world where social media influences everything. The next time you are in search of Millennial talent, keep this in mind. Now that I have shared a few places with you, I would love to hear about where you search for Millennials. Natalya Kazim is a Sourcing Consultant with 15+ years of experience in the Recruitment world. She has had the opportunity to work in several Fortune 500 companies to help lead the initiative to develop their sourcing function. Natalya is passionate about learning new, innovative, and efficient ways deliver the best quality results. She has served as both a Mentor and Trainer sharing her wealth of information to help others succeed. She has a strong background in advanced sourcing, competitive intel research, organizational charting, market analysis, candidate information retrieval, and passive candidate engagement . Natalya resides in the Washington, DC Metro Area.